Tonight, the full moon will be the closest it's been in it's orbit to earth in almost 20 years. 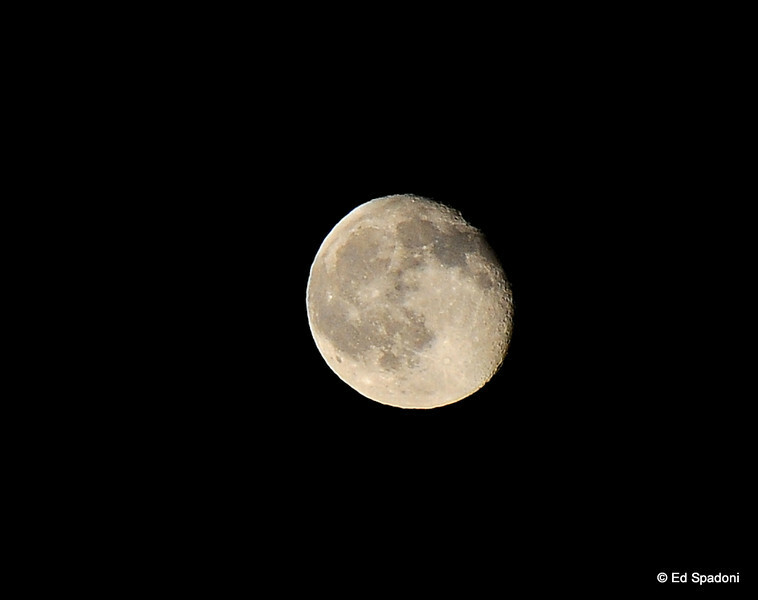 This perigee moon will be a great opportunity for photogs to make some "moon shots". Wow Ed..this is one of the sharpest most detailed of these photos of the perigee moon I've seen. Amazing texture captured here. I am envious. I took my shots later in the evening and my 18-270 lens just didn't really get this detail at all. Very nicely captured - great image! Great shot, Ed! Thanks for the tips, I'll give it a shot. Info was very helpful. I was just outside trying to get some shots of the moon. Lovely capture!